and started a second. Winding yarn on the bobbins almost takes longer than making the lace - once I remembered how to get started again, that is. 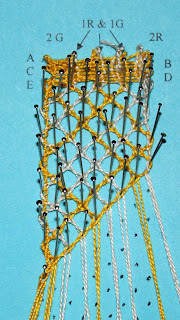 Still lovin' the bobbin lace. Next up? 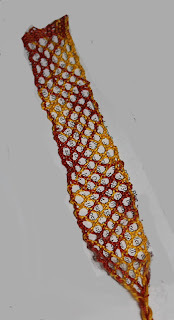 Maybe this bracelet from WeaveZine. The Merino and Possum yarn (not the U.S. kind of possum; this kind of possum) that Vickie brought me from her New Zealand trip finally told me what it wants to be - a Tunisian scarf for Rachel. I saw the pattern in the new Interweave Crochet Accessories and immediately thought of this yarn. Funny how the mind works that way. 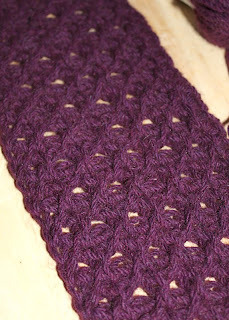 The pattern is almost the same as the La Mer scarf I made earlier in the year. The magazine has some great patterns, including a few that are must-makes for me; you can see all the projects on Ravelry here. And last, fresh out of the bread machine, my first loaf of sweet bread. I had a couple ounces of chocolate chips hiding out in the cupboard, so I threw them in in lieu of the milk chocolate the recipe called for. We'll see in the morning how this tastes. But hey, it's chocolate; how bad could it be??? The bookmark is lovely - is that your own handspun yarn too? 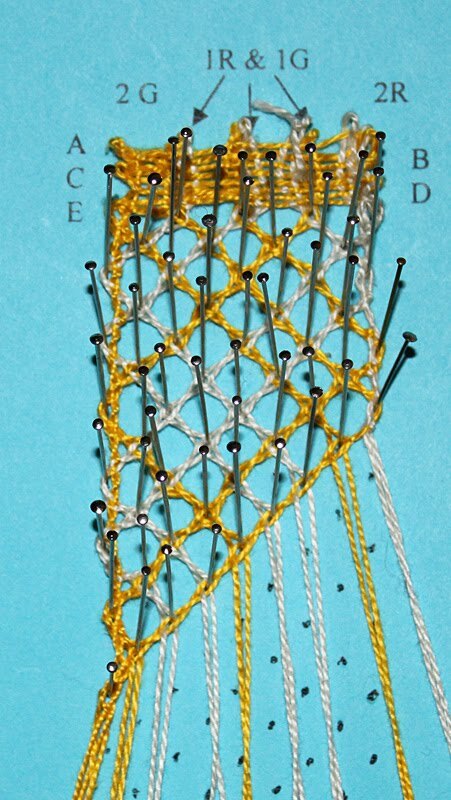 I used to do bobbin lace as my mum taught me very young, but I no longer do it. Congrats at the newest grandbaby (previous post) - lovely news! 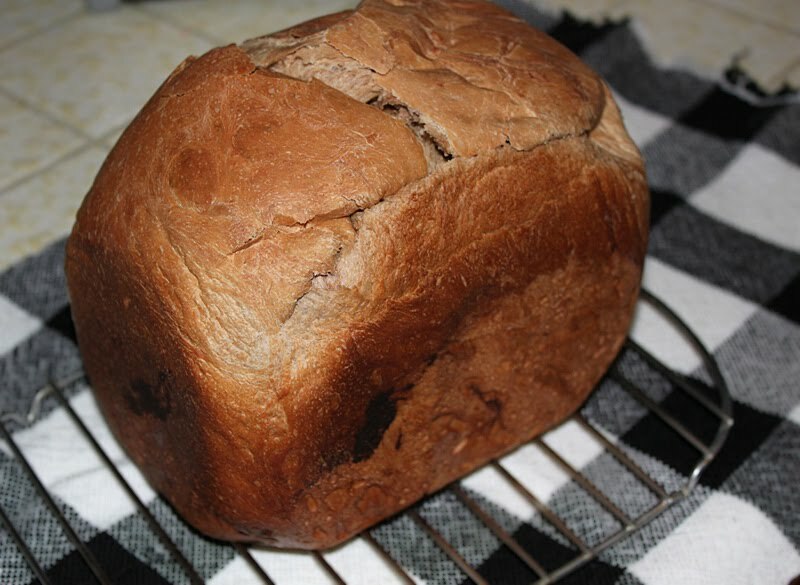 And that bread looks fabulous!